Omron HEM 7130 blood pressure monitor provides easy and comfortable upper arm blood pressure measurement. Also it is based on IntelliSense Technology. This technology automatically uses the correct amount of pressure for accurate and fast measurements. Omron HEM 7130 blood pressure monitor is completely automatic and it works on the principle “Oscillometric”. Moreover, it is a compact machine. Before purchasing, always ensure that the cuff size is suitable with your arm size. The cuff provided with this BP monitor has a size of 22-32 cm. Hence if your arm size is larger than this, don’t go for this BP monitor. Also it is recommended to remove the batteries, if you are not going to use your BP monitor for a longer time (More than 30 days). Guidance for Cuff Wrapping: If you wrap the cuff by right technique, a green color “OK” symbol will blink. Hence it makes sure a reliable and accurate measurement. Blood Pressure Level Indicator helps you to understand the results easily. Latest studies tells that systolic/diastolic pressure readings above 140/90 mmHg represents high blood pressure. Also it provides average for most recent 3 measurements. Finally, a memory of 60 readings with time & date. In order to take the reading, you have to sit comfortably on a chair. Also your legs should not be crossed and feet must be flat on the floor. Sit in a way so that your back must be straight. Your back and arm should have a support. Finally your arm cuff and your heart should be on the same level. Monitoring the blood pressure at home with Omron HEM 7130 blood pressure monitor would surely pay-off in the long run. Especially considering the fact that majority of those living with hypertension are not aware of the condition. In India, whooping one-third of adults are estimated to be living with hypertension. Also half of them are not even aware of it. All this is due to the absence of self-monitoring. Conditions in rural India is even worse, where only one-fourth of those with hypertension are conscious about it. 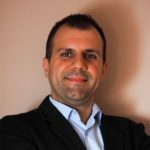 Today most of the leading health organizations agree that the best way to understand the hypertension is home monitoring along with professional diagnostics. Home monitoring can help to diagnose the so-called masked hypertension. Some people may show the normal reading while visiting the physician, though they may have hypertension. Only self-monitoring can unmask such kind of hypertension. Another important reason for regular self blood pressure monitoring is white-coat hypertension. Research has shown that people are tense or frightened when their blood pressure is measured in clinical conditions. This results in the wrong readings and it is called white coat hypertension. At home, people are relaxed, worry free, which results in more accurate readings. Regular self-monitoring with Omron HEM 7130 blood pressure monitor also means the ability to understand the daily fluctuations. Certain individuals are more prone to such variations than other. Some are even prone to the sudden and sharp rise in blood pressure to dangerous levels called a hypertensive crisis. If a person has a blood pressure monitoring equipment at home, it will help in immediate identification of the severe condition. Home blood pressure monitoring also helps to raise the awareness and confidence of those living with hypertension. If a person monitors at home, he or she can be sure that things are in control. Hypertension is a chronic ailment, and modern chronic care model strongly recommends the active participation of people in disease management. Hence in conditions like hypertension, a person should take control of the treatment process. While physician primarily serves as a health adviser. It is also important to look at the bigger picture. Research indicates that those monitor blood pressure at home is also more likely to make healthy choices in life. It means that home blood pressure monitoring would also help to reduce the risk of heart attack, stroke, and diabetes. Modern blood pressure monitoring devices are accurate and affordable by the masses. It is a myth that readings from the physician’s clinic are more accurate in comparison to home monitoring. Generally just opposite is true. Hence the small and timely investment in this Omron HEM 7130 blood pressure monitor may do much good than most can imagine. 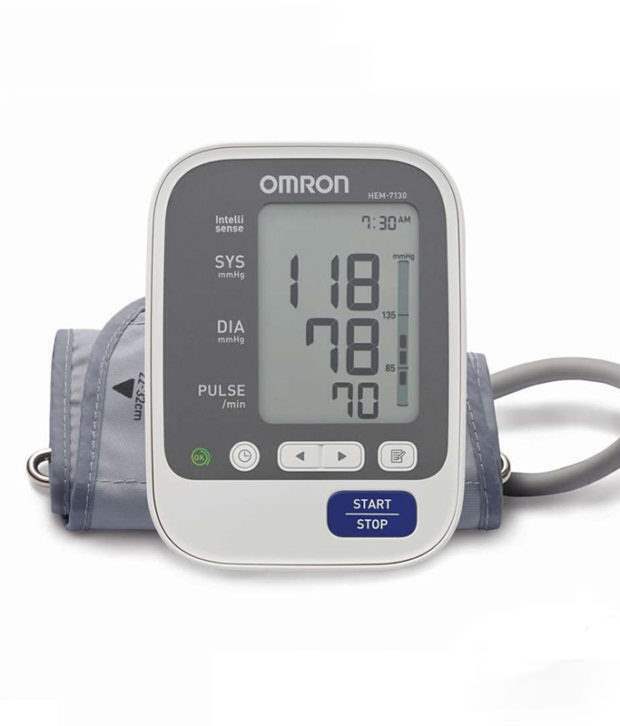 Finally, one must understand that tons of large-scale clinical trials have demonstrated that those who regularly measure their blood pressure at home with Omron HEM 7130 blood pressure monitor have much better chances of achieving the control over the blood pressure. Excellent service by Mr. Shabu. Bought this product as a gift to my FIL. Tested the product and readings are accurate.